Since it's already Fall or Autumn in some countries, I thought the MAC Pro Longwear Lipcreme in Seasoned Plum from the Daphne Guinness Collection would be perfect this season. I've had this lipstick for a while now and I've only ever worn it twice which was just this month. 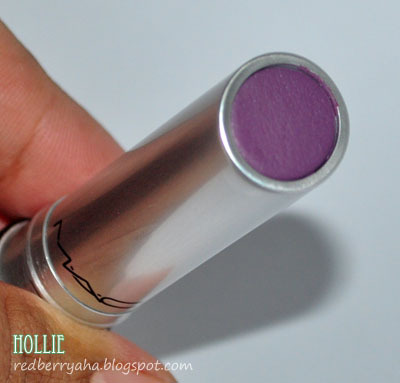 Mac Seasoned Plum was given to me a few months ago by my good friend Khymm of Shopcoholic. (thanks Khymmy!) I just love the shade because it is so unique. It has been raining like crazy here in Philippines, so it is almost always gloomy and dark outside. That's when I remembered that I have this in my stash. Others might find this shade too odd, but all I did was pair this with a red lip liner and it looked great! The shade looks like a purple with a pinkish undertone. It is a cream finish lipstick that stays long and delivers an opaque color. If you like lipstick shades that make a statement, this might be for you. This is my first Pro Longwear Lipcreme and I'm very pleased with it. I like the chic packaging and how the product itself exactly fills the rim. It has a decent staying power and it doesn't dry out my lips. Also, it does not feather or transfer easily like other cream lipsticks do. 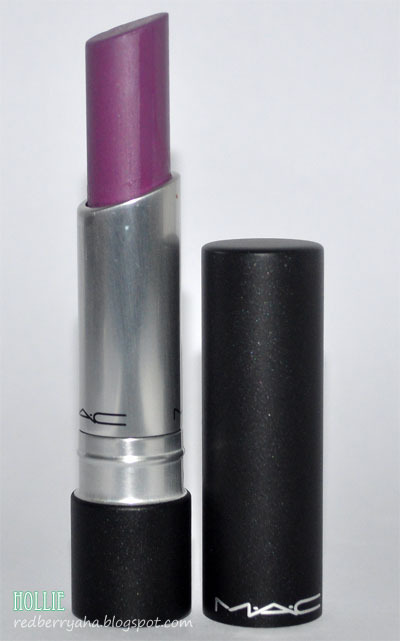 Mac Seasoned Plum is a limited edition lipstick since it's from the Daphne Guinness Collection, so you might have trouble looking for this. You can buy it online or at Amazon. Have you tried wearing a purple lipstick? thanks so much for visiting and following my blog, i really appreciate it. This is one of my favorite lipsticks to wear this season. I love how moisturizing and rich in color this lipstick is! So glad I was able to get my hands on it when I did! ohh i wish i can wear this shade.. :) I don't think it will look good on me. Wow! I love this lipstick, the color is so vibrant! :) perfect for creative make up! I love the shade of plum,nice post! 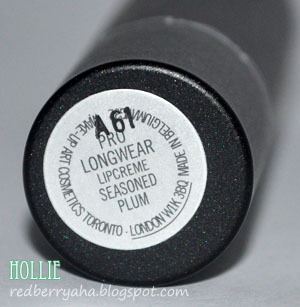 I've always wanted to try the Pro Longwear line, but all my MAC lipsticks are just from the normal line. That color is bold and unique, but it looks great on your lips! Does it stain or it just applies like a normal lipstick?